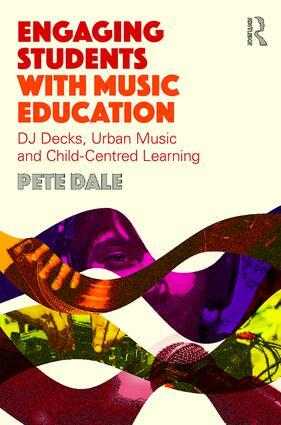 Engaging Students with Music Education is a groundbreaking book about using DJ decks and urban music in mainstream schools to re-engage disaffected learners and develop a curriculum which better reflects overall contemporary tastes. Many young learners are ‘at risk’ of exclusion; this book argues that for such individuals, the implications of such a shift in the music curriculum could be especially positive. Are DJ decks actually a musical instrument, and are they suitable for classroom teaching? Will Ofsted's school inspectors approve of music teaching involving DJ decks and urban music? If we bring urban music into the classroom, will this further marginalise classical music? Are DJing and MCing skills recognised within examination specifications, at least in the UK? Current teachers will find the practical advice on how to incorporate DJ decks and urban music into their classroom especially helpful, whilst educational researchers will be captivated by the critical discussion of the child-centred tradition and a theoretical approach which stretches from ‘continental’ philosophy to practice-based reflection. With an insistence that the starting point for music education should always be the interests and experiences of the learners, this book is essential reading for those music teachers and researchers interested in the benefits of non-standard music-making in the classroom. Pete Dale is an internationally renowned musician. He has taught music at numerous schools, Newcastle University and Oxford Brookes University, and is currently Senior Lecturer in Popular Music at Manchester Metropolitan University, UK.